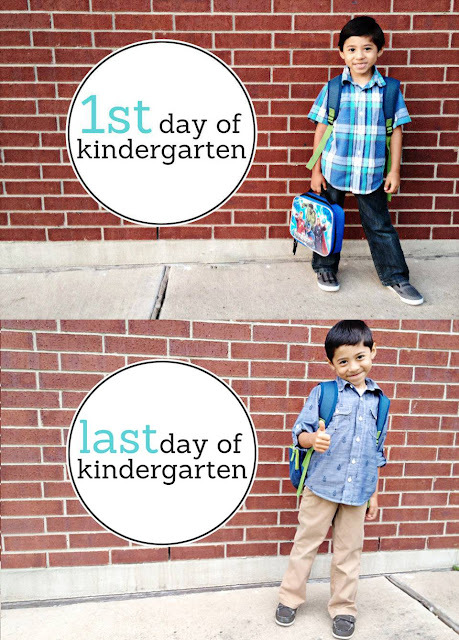 My son's last day of Kindergarten was last week! He's moving on to FIRST GRADE! He's grown so much! I am just so thankful that God watched over him this school year. He's reading and writting and he LOVES to draw! I'm so thankful for the wonderful son God has given me! So now that he's on vacation that means I have ALL THREE KIDS home with me! Things are a little busier now but I found a way to make it work and I'll be sharing that with you all tomorrow along with a free printable!